Nepal became a member of the United Nations in 1955 and since then, has been an active participant of most UN peace operations. The participation of the Nepali Army in UN peace support operations spans a period of over a half century covering some 42 UN missions, in which over 1,26,356 personnel have participated. The army’s long association with UN peace support operations began with a modest deployment of five military observers in Lebanon (United Nations Observer Group in Lebanon) in 1958. The first Nepali contingent, Purano Gorakh Battalion was deployed in Egypt in 1974. The Nepali Army has contributed in senior appointments at UNDPKO and Force Headquarters and has also deployed military contingents, military observers and staff officers. The army has also contributed significantly through the provision of niche capabilities such as engineers, medical teams and Special Forces contingents. Their devotion to duty and excellent performance have been widely acclaimed. The Nepali Army has always accepted challenges and participated in most difficult operations. This has had a heavy toll on its personnel, and to date, 64 personnel have made the ultimate sacrifice at the alter of world peace and another 66 have been disabled. As of 15 Apr 2019, the Nepali Army has deployed across 12 missions around the world. As a troop contributing country, Nepal ranks fifth in the world. Currently, Nepali Army has some 5079 soldiers including 205 female soldiers serving in 12 different missions around the globe. Nepal has a commitment to provide up to 5000 peacekeepers should the UN so request. 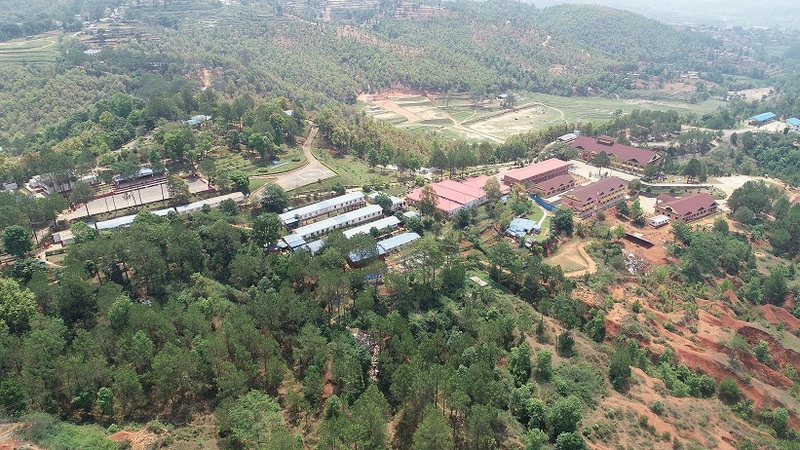 The requirement for United Nations Peace Support Operations related training along with institutional memories brought back from all these missions resulted in the establishment of a training Centre in Panchkhal in 1986 on an ad hoc basis. In January 2000, an international multi platoon training exercise “Ex Shanti Prayas-I” co-sponsored by US Pacific Command was organized in this Centre, which paved the way to turn the ad hoc Centre into the full fledged “Birendra Peace Operations Training Centre” (BPOTC) with a mission to provide a nucleus of expertise within the Nepali Army, responsible for the development of Peace Support Operations.